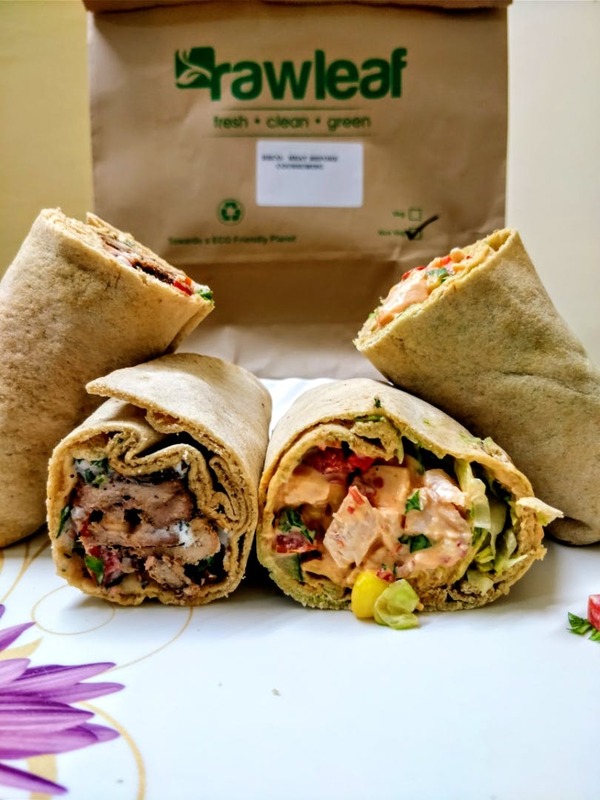 I ordered from Raw Leaf the other day and I loved their food and packaging. The food came in a paper bag which can easily be used again or can be thrown away without damaging nature. The food clearly justified their motto 'Clean-Green-Fresh' through their way of preparation and packaging. Their Grilled Fish Salad is a must try thing from this joint. I would definitely go for it again in future. The salad had zucchini, bell peppers, carrots, baby corn, olives with mustard lemon dressing, and was topped with perfectly grilled fish. It was just amazing. Another thing I ordered was wrap and shawarma that came in whole wheat base, with a good amount of fillings & dressings. Out of the two, the Smoked Chicken Wrap was my favourite. It was filled with juicy smoked chicken, lettuce, tomatoes, capsicum, jalapenos, and hummus dressing. The Shawarma was good too but the chicken in it was a bit dry for me. A dip along with the shawarma would have made it better. Otherwise, everything was brilliantly prepared, packaged and delivered. I also tried their smoothie which could have been thicker and the Shawarma needs a bit improvement too.